I'm also fully embracing my inner nerd with these glasses, which I had ordered months and months ago, but I made the mistake of getting my prescription filled online and via a UK site (as the prices were slightly cheaper). That was a terrible mistake. Long story short, I had to get them re-fitted with new lenses to match where the center of my pupils actually fell on the lens. I put it off for the longest time because I knew I would eat the cost I originally paid for the lenses (over $350) and have to pay for new lenses (my local place cut me a 'deal' and they were still $400 – I have a pretty awful prescription so I have to get the thinnest ones available). Two lessons I learned from this: never get prescription lenses online; and prescription lenses are not a place in life to try and save money on! I love the way you've styled the outfit with two belts! It's such an interesting dynamic that really adds to the look. 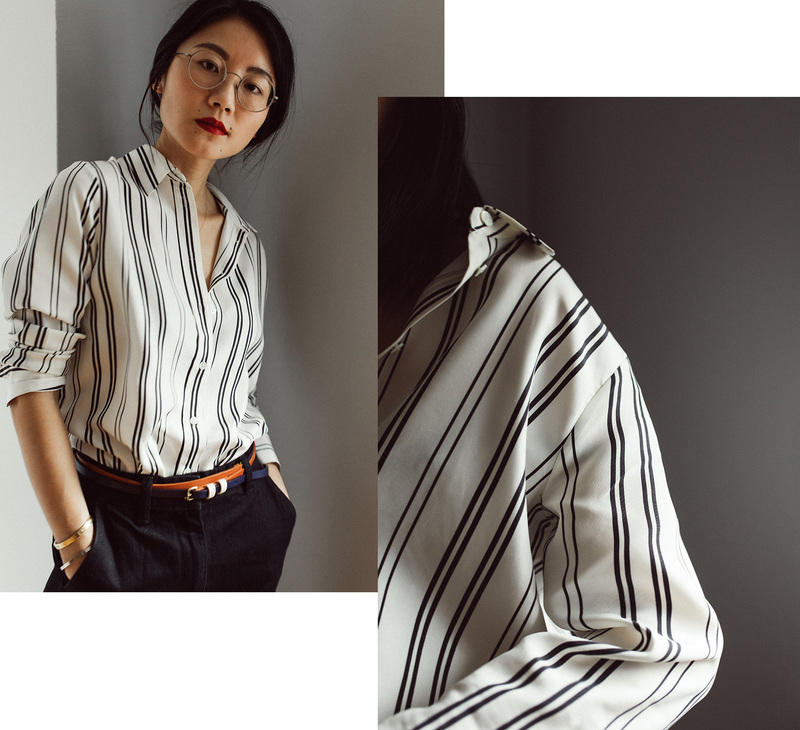 This striped blouse is just gorgeous! In the future, you can try getting your lenses done at Costco. I have bad eye sight (-6.75) and I regularly take my frames that I've purchased elsewhere to them. The super thin lenses with all the coatings and fixin's were around $99 and tax. Oh yeah that was my first thought, but I took these frames to them and Costco refused to do them because of their shape. Bummer for me! really lovely pictures, those glasses look great on you, it's a shame you had to spend so much money on them! 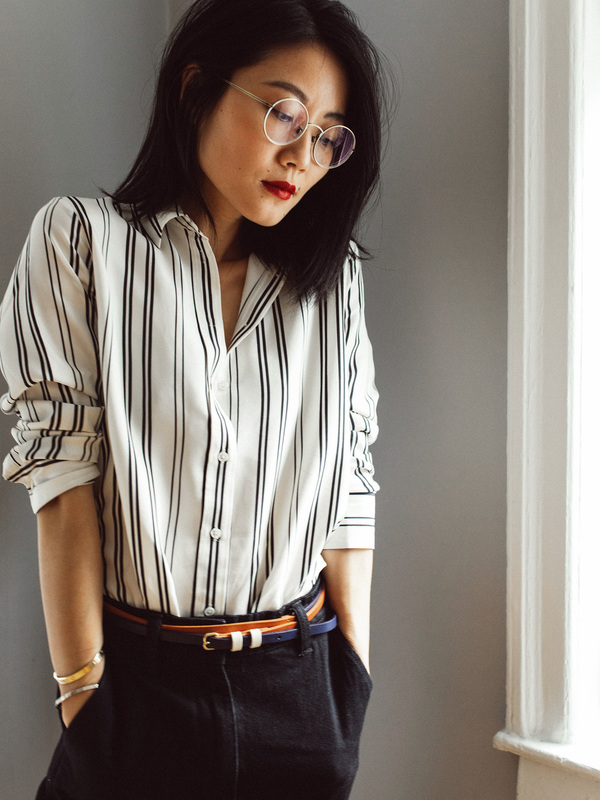 Silk shirts and inner nerd makes the perfect balance! So fancy! I love the red lipstick too. Is this still your beloved Tom Ford? Thanks! This might be a red from Lipstick Queen. I can't recall the exact name!